We want to protect our kids from bullies. But what if the bully is their older sibling? Why do siblings quarrel? According to Kid's Health, this is largely due to their evolving needs: "It's natural for kids' changing needs, anxieties, and identities to affect how they relate to one another. For example, toddlers are naturally protective of their toys and belongings, and are learning to assert their will, which they'll do at every turn. So if a baby brother or sister picks up the toddler's toy, the older child may react aggressively. School-age kids often have a strong concept of fairness and equality, so might not understand why siblings of other ages are treated differently or feel like one child gets preferential treatment." Sibling rivalry is normal. 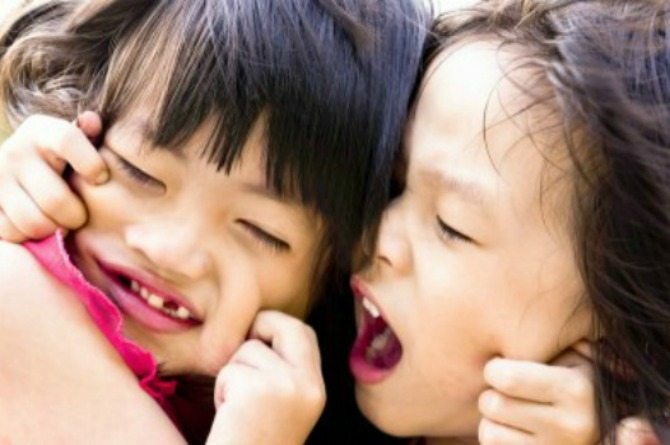 Kids, at one point or another, will pick on their younger sibling but what do you do when teasing evolves into bullying? One user on theAsianparent Community, a Q&A platform for parents, asked how to deal with her child’s negative behavior towards his younger sibling. There is no quick fix; most of us grow out of sibling bullying eventually. Here are five simple ways that will help you avoid raising a bully. Their negative behavior towards their younger sibling may be the result of wanting to assert their dominance. Turn this animosity into concern by giving them the responsibility of caring for their sibling. Simple reminders like: “Finish your food so you can be a good example to your little brother/sister” can greatly impact the way they relate to their sibling. Spend an equal amount of quality time with each kid; this helps to reduce attention-seeking behavior and animosity between them. It can be as simple as going out for ice cream or going to the movies. Showing that you love them both equally reminds them that there should be no competition; it also builds your relationship with each one of them. Next page: Find out what else you can do stop your child from becoming a bully. Show them photos or home videos of them when they were young and—hopefully—getting along. This will help them see that it’s so much more fun to have a good relationship with their little sibling instead of picking on them. It’s also important for them to learn that their actions have consequences. Give them a “time out” whenever they lash out on their sibling but make sure they understand that it’s more of a time to reflect than a form of punishment. Once you see a fight brewing, intervene. Don’t scold them but guide them in verbalising their feelings: Why are you upset? What is it that’s bothering you? Why don't you want to apologise? Talking to them like they’re grown-ups helps them form a sense of self and it cultivates their ability to reason out in an honest but respectful way.